"On Easter Sunday we celebrate the most long-awaited and glorious event in the history of the world. "It is the day that changed everything. "On that day, my life changed. "The destiny of all God’s children changed. "On that blessed day, the Savior of mankind, who had taken upon Himself the chains of sin and death that held us captive, burst those chains and set us free. 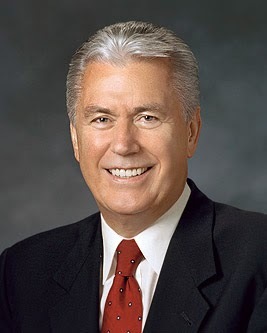 "Because of the sacrifice of our beloved Redeemer, death has no sting, the grave has no victory (see 1 Corinthians 15:55; Mosiah 16:8), Satan has no lasting power, and we are 'begotten... again unto a lively hope by the resurrection of Jesus Christ' (1 Peter 1:3; emphasis added). "Truly, the Apostle Paul was correct when he said we can 'comfort one another with these words' (1 Thessalonians 4:18; see also verses 13–17)." The expression "lively hope" used by Paul is particularly moving to me. The concept of "hope" is glorious as it is, but a "lively hope" is even more expressive: one that is vibrant, motivating, and real. 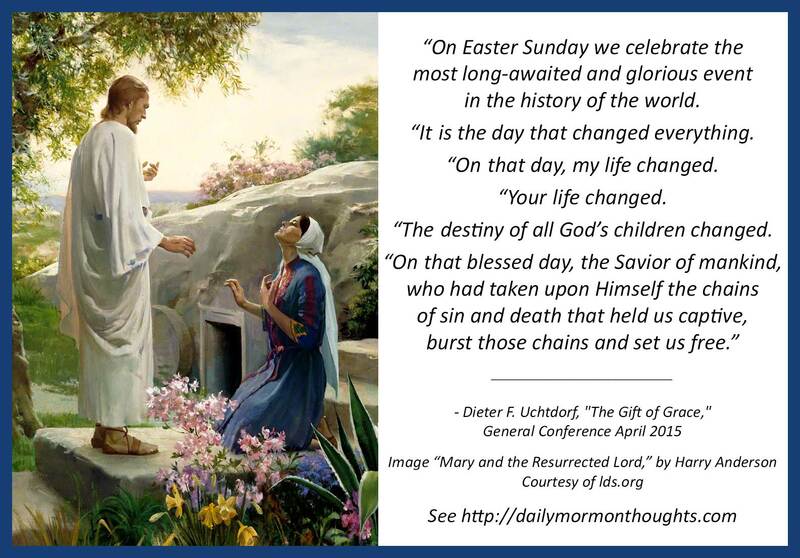 We should feel that hope strengthened and renewed as we ponder and commemorate the events of Easter weekend! Labels: Atonement, Easter, hope, Jesus Christ, Resurrection, Uchtdorf Dieter F.